Impress your customers with full-color plastic business, ID or gift cards branded with your logo and custom design. 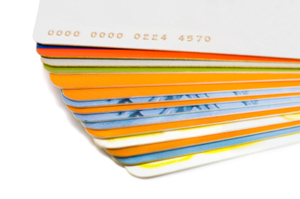 Our durable, high quality PVC plastic cards come in a full range of thicknesses and can be created with a virtually limitless combination of designs, colors and finishes, including UV and laminated coatings. Whether you need 50 or 50,000 cards, from our in-house design services to our state-of-the-art production and on-time delivery, you’ll be pleased with the results. Contact us today to get started.